Schimmer Child’s design for the Reception Area and Information Point has been approved. The furniture will be natural oak and Madraperla Satinglas, lit from behind by LEDs. 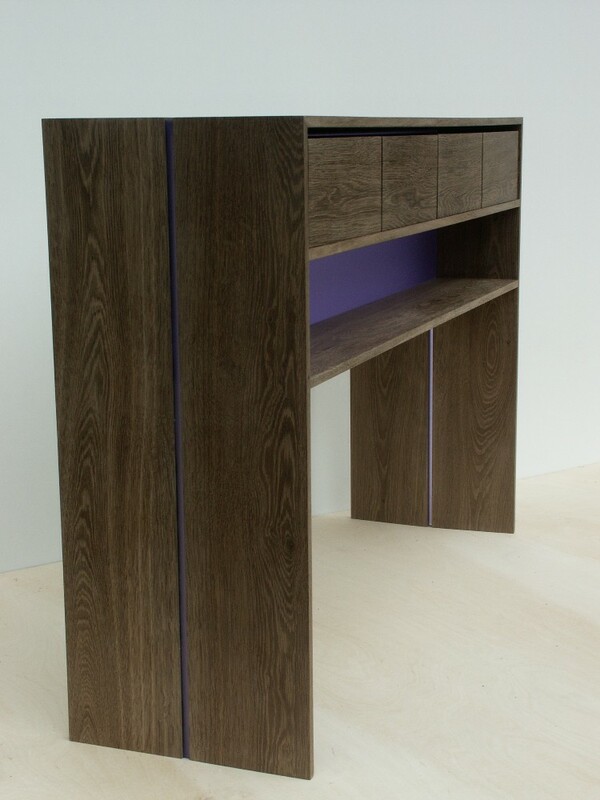 Pictured is a console table in fumed oak with purple Satinice; it seemed the only way to go in a double height Reception area completely panelled out in oak.